The superstar from BMW. 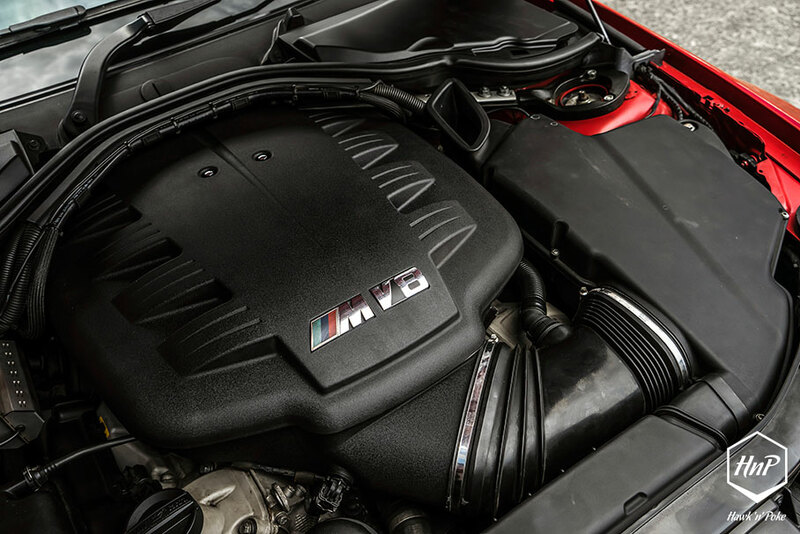 M3-Series have carved deep depths of joy and passion within the hearts of BMW-fans and sports car lovers alike. It’s agile handling, powerful V8 and huge aftermarket tuning potentials (think about supercharging!) 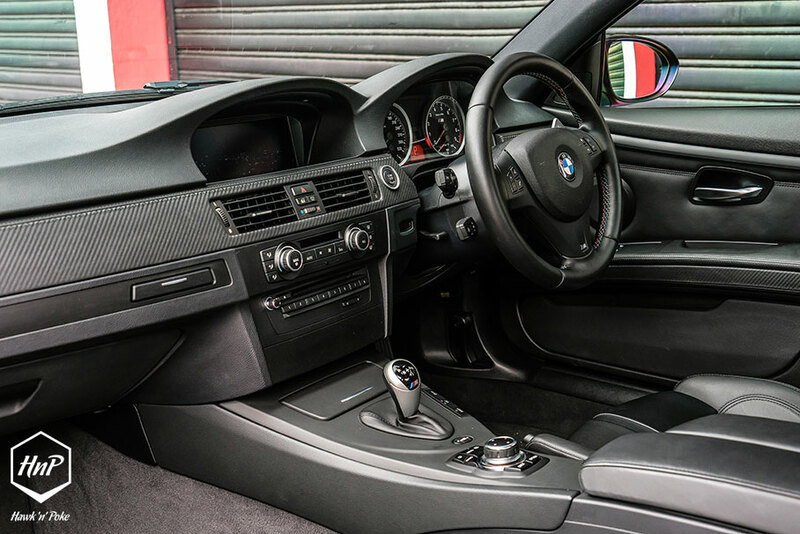 have turned the E92 M3 into one of the most praised BMW’s of the decade. 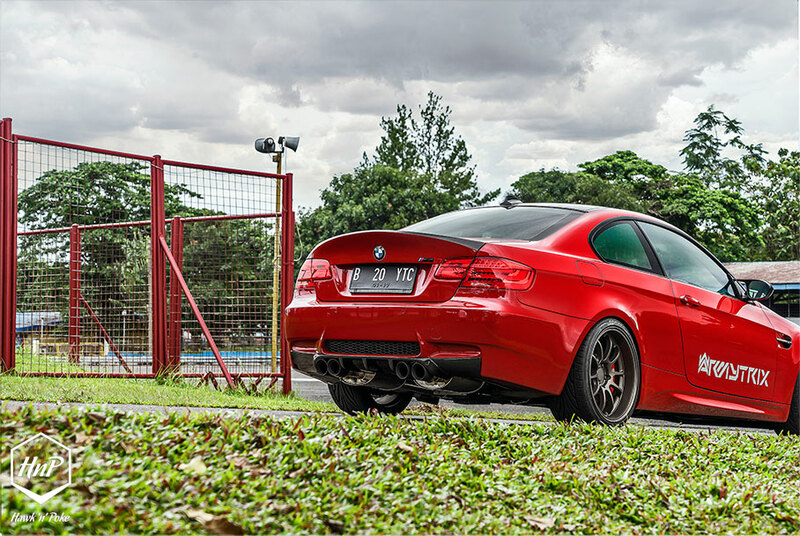 In Indonesia alone, an M3 represents the best of understated looks and uncompromising performance. Blending in subtly with high-rise office towers on weekdays while looking right at home on track at weekend casual races. Sophisticated and cunning. With the rise of M Owners Club Indonesia, we could clearly see that there’s been a steadily growing demand of M-cars here locally. With the club mostly dominated by E92 M3’s, it’s no wonder that this V8 coupe has almost become an icon to the community. An M3 is a real driver’s car. A proper sports performer, and a realist in every way without any over-promises. A true gentleman’s ride. It isn’t particularly rare to find modified M3’s on our streets. Perhaps finding a bone-stock specimen would even be the greater challenge. 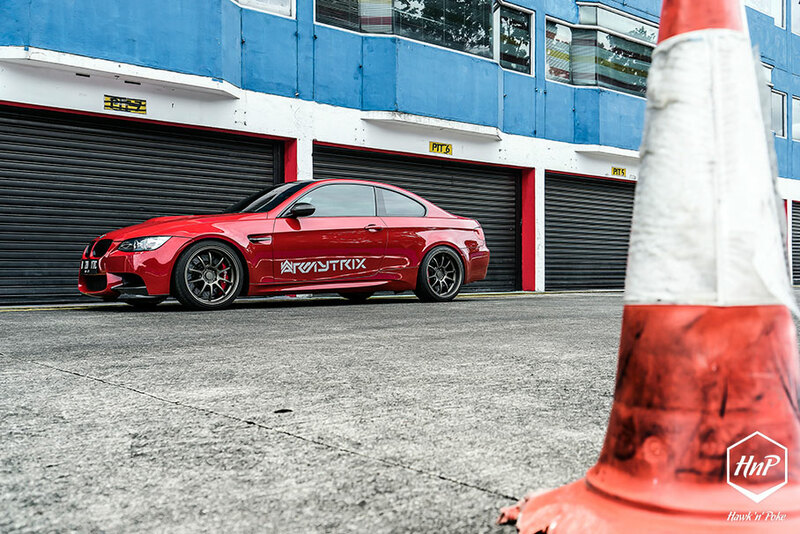 From subtle aero kits to 600BHP+ supercharged builds, there’s been a huge variety of M3 project cars within our island-country. 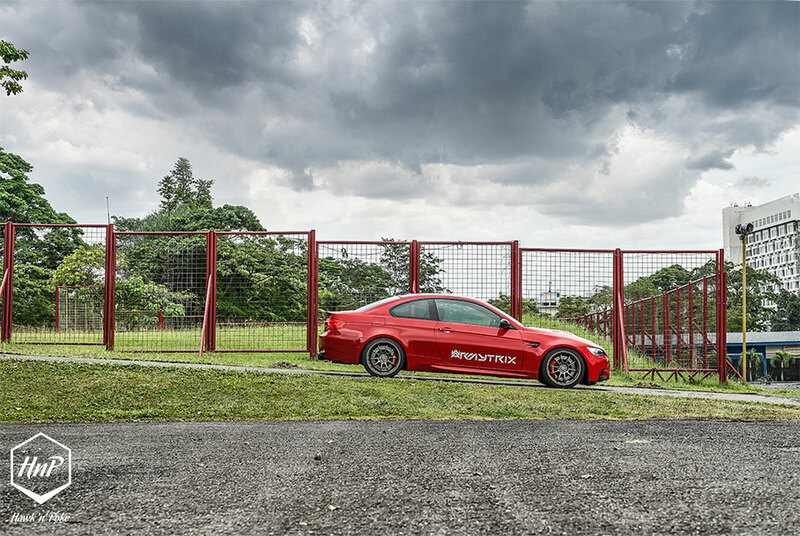 Today I’ve managed to capture a special one that’s deemed as the first ARMYTRIX full-exhaust equipped E92 M3. Already one of the greatest sounding V8’s ever made in stock form, such valvetronic exhaust system promised to bring an even greater height of symphonies to the ears. All while amplifying its performance through carefully engineered pipe designs. The E92 M3 has never been deemed as an aggressive-looking car. In fact it has never differed much from the regular E92 when looked at a glance. 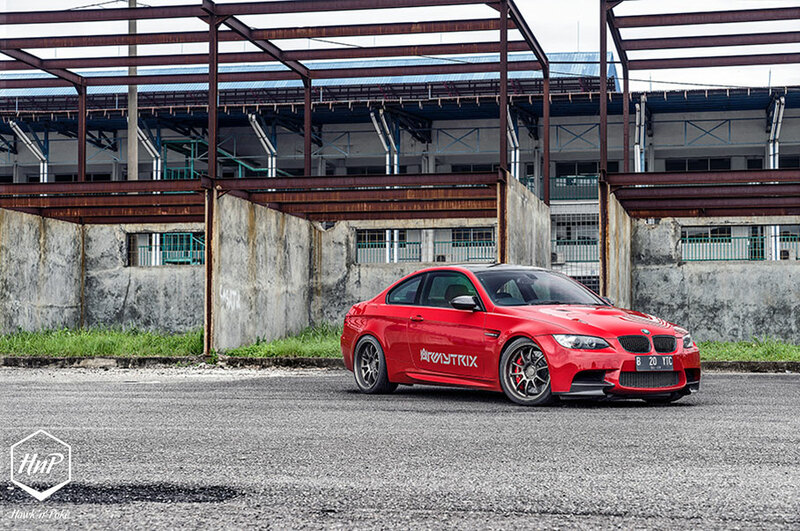 A very different approach from BMW compared to the beefed-up real-aggressive F80 M3’s they recently released. 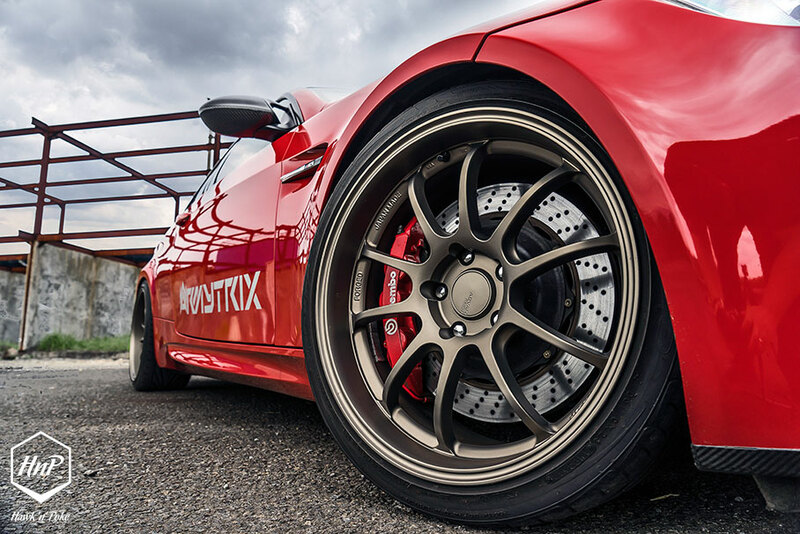 Therefore, to suit his preference for a sportier-looking coupe, the owner installed carbon fibre aerodynamics all around, and replaced the stock wheels with these lightweight race-derived Advan RZ-DF wheels. 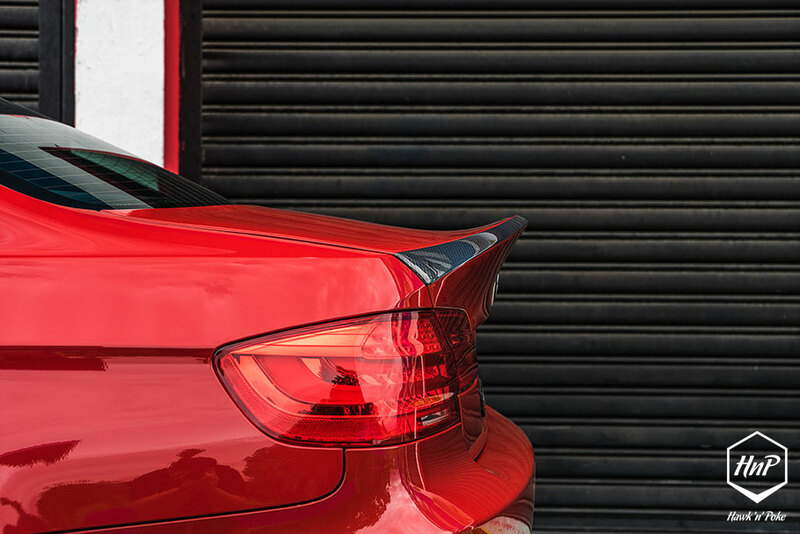 Complimented by KW V3 for the sportier handling and stance, the M3 has now become an even greater soldier for performance drives.